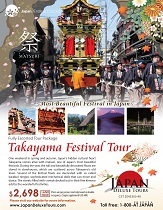 Excellent job Japan Deluxe Tours! Everything you set up from hotel to tour guide was great. With such a helpful tour guide, the group was able to really get a feel for Japan. Not just a great tour guide, the driver was also EXCELLENT and made the trip very enjoyable. This tour had great sites to visit and a good mix of hotels and meals to really make for great memories. Thanks for a great Japan Tour! Our guide was very knowledgeable and attentive to the group.